Humilities are one of the worst factors that we can have in our home, not only cause material damage, but also reduce the comfort of the people who live with it. 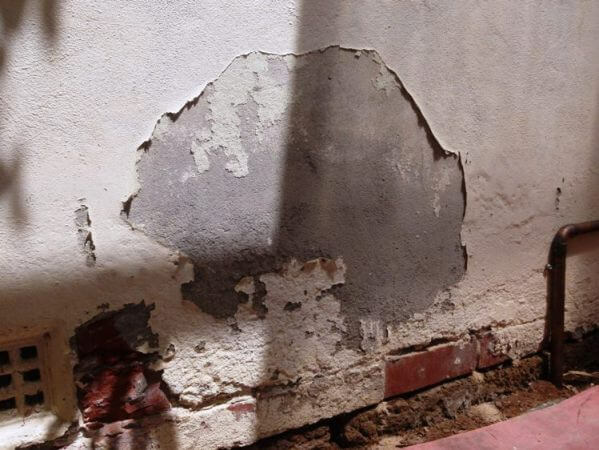 If the problem is not treated quickly, the walls deteriorate, the clothes become moldy, the facade is damaged and, in addition, it can develop bacteria and fungi that are harmful to health and can cause various respiratory diseases. In this post we show you how to repair dampness at home. It can be of different types and be caused by various factors. It may be raising dampness, moisture caused by rain, moisture from pipeline leaks, moisture from condensation or building moisture. As in the previous months, the rainfall has been strong and persistent; we will see how to solve the humidity caused by the rain. The main step to solve the problem is to find the source of moisture, we have to know the causes of its occurrence and thus get it resolved in an effective way so that they do not reappear. This type of humidity occurs in the interior walls through fog in the mirrors and windows, mold in the corners of walls and ceilings or plasters and paintings detached in interior and exterior walls, mainly in the places most exposed to the side wind. In current buildings, double walls are more common and are generally protected from moisture. However, during construction, wall fasteners can be installed incorrectly and moisture can manifest with very defined spots. In older buildings the walls are wider and if they have any porosity, are less impervious to rain. It can happen even on the outer walls because of the cracks and have the appearance of moss. You also have to be careful with defective downspouts that allow rainwater to seep into the masonry. Heavy rains can cause moisture stains or leaks. The most exposed exterior walls are the most affected in these cases. After thawing, for example, moisture stains may appear which can lead to a damaged ceiling, a crack in the wall, cracked bricks, damaged joints or leaky gutters. Open doors and windows to prevent moisture from spreading throughout the area or to move to other rooms. Place dehumidifiers or containers filled with coarse salt. Have the heating with moderate temperature (not to exceed 19ºC). The walls and ceilings can be cleaned by mixing water and vinegar in equal parts. When the walls are completely dry, you have to paint using waterproof paint for interiors. Protect the walls, painting and isolating with special mortar with water-repellent properties. Before carrying out any type of operation, all types of moss and dirt must be removed with water and bleach, for example, or by means of a pressure gun. If it has rained, you have to wait a week or so to apply any product. In the case of cleaning with high pressure, the waiting time will be longer to avoid any trace of moisture. The water-repellent products must be applied by means of a brush and with abundance until the wall does not absorb more liquid. The residues of the product remaining in crystals or tiles can be removed with a little turpentine.